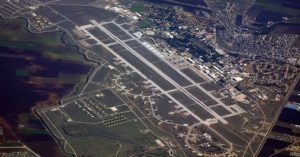 Russia has approached Turkey to request use of the U.S.-built Incirlik air base. The NATO base, which is home to at least 50 U.S. B-61 nuclear warheads, is 65 miles from the Syrian border and would enable the Russian air force to engage in “constant bombing” of Islamic State of Iraq and Levant (ISIL) and other anti-Assad forces, a Russian official said, according to a report by the UK’s Times newspaper. “It just remains to come to an agreement with (President Recep Tayyip) Erdogan that we get the NATO base Incirlik as [our] primary air base,” Sen. Igor Morozov, a member of the Russian upper house’s committee on international affairs, said. Analysts say Turkey “has drifted towards Russia” in the wake of the failed coup on July 15. Erdogan has even suggested that the United States played a hand in the failed attempt to overthrow his government and is demanding the U.S. extradite cleric Fethullah Gulen, who has been alleged to have been the mastermind of the coup.